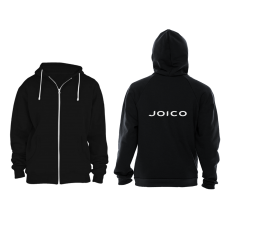 Spread your Joico joi in this cozy, quality hoodie. Black with white logo. Unisex. 50% Cotton/50% Polyester. Available in S, M Apologies: XS,L,XL and 2XL are currently out of stock. 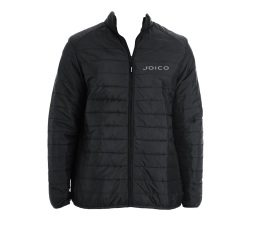 Spread your Joico joi in this lightweight jacket that has all the warmth and none of the bulk. Water resistant finish. Black with reflective silver logo. Packable with included storage pouch. Machine wash on cold. Available in Women's XS, S, M, L, XL, 2XL. 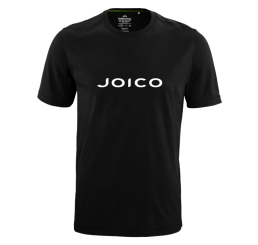 Spread your Joico joi in this quality branded short sleeve fitted t-shirt. 100% cotton jersey, pre-shrunk. Black with white logo. Available in Women's S, M, L, XL. (Note: T-shirt tends to fit small. Consider sizing up) Apologies: L, XL, XXL are currently out of stock. 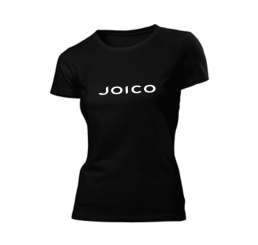 Spread your Joico joi in this quality branded short sleeve t-shirt. 100% cotton jersey, pre-shrunk. 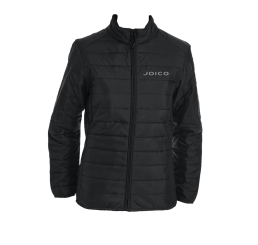 Black with white logo. Available in Men's S, M, XL, 2XL. Apologies: Large and Medium is currently out of stock. 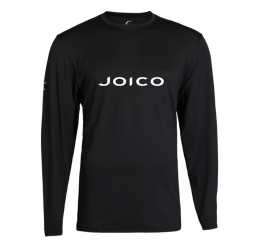 Spread your Joico joi in this quality branded long sleeve fitted t-shirt. 100% cotton jersey, pre-shrunk. Black with white logo. Available in Women's S, XL. (Note: T-shirt tends to fit small. Consider sizing up) Apologies: M, L, XXL are currently out of stock. 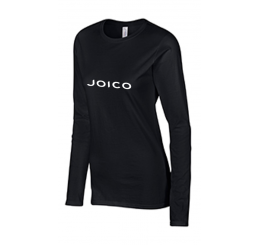 Spread your Joico joi in this quality branded long sleeve t-shirt. 100% cotton jersey, pre-shrunk. Black with white logo. Available in Men's S, M, L, XL, 2XL. Apologies: L is currently out of stock. 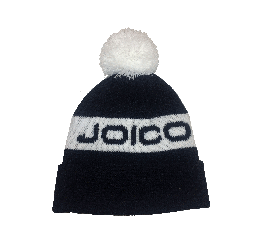 Spread your Joico joi in this cozy Joico branded Toque. Black and White. Unisex. One size fits all. A classic style that looks good on every face! 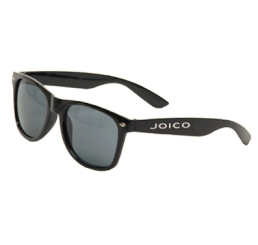 100% UVA & UVB protection. Black with white logo. Unisex.